This innovative book sets out to question what we understand by the term `new social movements'. By examining a range of issues associated with identity politics and alternative lifestyles, the author challenges those who treat new social movements as instances of wider social change while often ignoring their more `local' and `dispersed' importance. This book questions what it means to adopt an identity that is organised around issues of expressivism - and offers a series of non-reductionist ways of looking at identity politics. 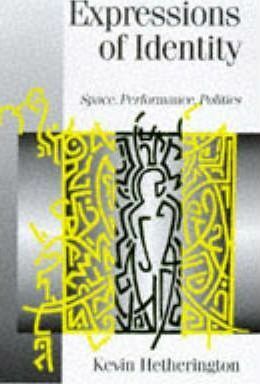 Hetherington analyzes expressive identities through issues of performance, spaces of identity and `the occasion'. This important work shows how the significance of identity politics are at once local, plural, situated and topologically complex. Kevin Hetherington is Lecturer in Aociology in the Depatment of Human Sciences, Brunel University. He is author of Badlands of Modernity (1997) and co-editor of Consumption Matters (1996) and Ideas of Difference (1997).